Share the beautiful art of dance with your attendees. Ensure excellent attendance at your next event with the Ballet Invitation. This artful invitation features a troupe of ballerinas against a purple and blue background and plenty of space for your information. 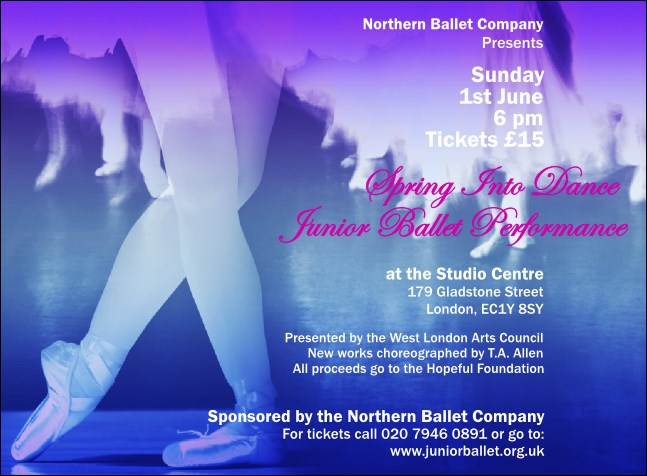 UK Ticket Printing can help you promote your event with a matching Ballet Event Kit.